Home Journal Entries What is the Journal Entry for Carriage Inwards? Carriage inwards is the freight and carrying cost incurred by a business while acquiring a new product. Journal entry for carriage inwards depends on the item and the intent behind its usage. The product may or may not be for resale, the word “Inwards” shows that the cost is incurred while the goods are being brought into the business. In this case, carriage inwards is treated as a direct operating expense as the intent is to use the product for operations. It is shown on the debit side of trading account. Carriage inwards is treated as a capital expense when incurred while purchasing fixed assets for self-use. 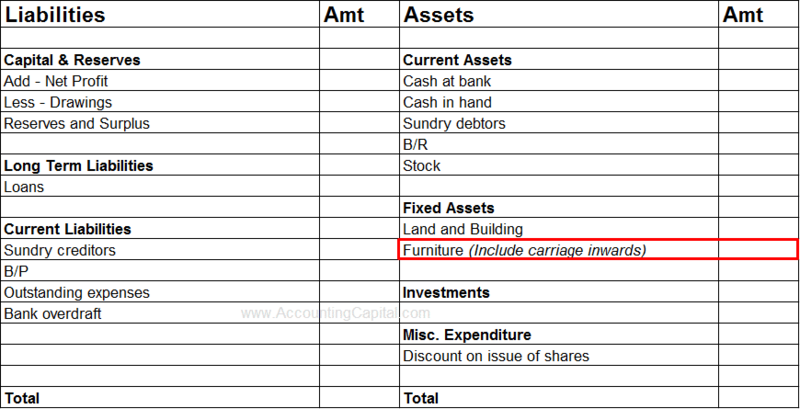 In this case, carriage inwards is added to the cost of the asset and not journalized separately.